Soffits are the boards that run horizontally along the outside of the house from the outer edge of the wall to the outer edge of the roof where they meet the vertical facia boards. The soffits enclose the junction between the top of the wall and the roof, and protect it from weather and ingress of wildlife. If the soffits are not maintained it could result in costly damage to the roof. Camberley Glass and Windows supply a range of soffits in various materials and colours to suit the style of your property. We are a trusted local company, established in 1965, who are known for our professional service, attention to detail and customer care. Indeed much of our custom comes from personal recommendation. We rate very highly on Checkatrade, are on the Buckinghamshire and Surrey Trading Standards Approved list of traders, and are FENSA registered. Soffits are an important part of the structure of your house and should be installed professionally. 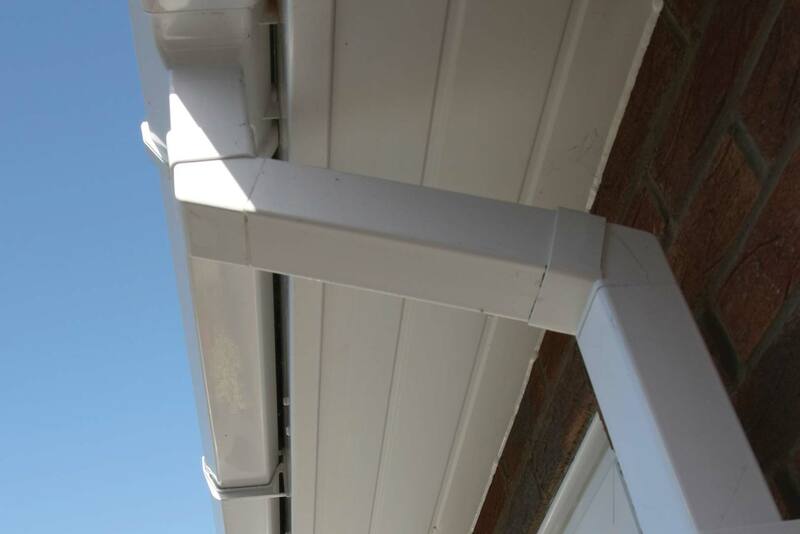 We have an experienced team who would be happy to fit your soffits for you. Many of our dedicated team have been working together for more than 20 years. If you would like to speak to one of our advisers please call us or visit our showrooms in Camberley. You will get honest and knowledgeable advice. We do not employ commission staff so we do not condone pressure selling, gimmicks or false pricing. We would be very happy to answer any questions and make sure you have the information you need.